Today, the "Freedom of Press" Foundation, which is now substantially linked to Paypal's Omidyar, has, after political pressure, decided to terminate processing of WikiLeaks' donations. Lee, in other tweets, has also perpetuated the “Russiagate” conspiracy in attempts to link Assange to Trump to Putin. The day after WL attacked the journalists, Putin himself cited WL's conspiracy to dismiss the scandal. This same conspiracy theory, which has produced no concrete evidence to support its claims after more than a year, was initiated by top government officials such as the former Director of National Intelligence James Clapper and former CIA director Michael Morell, among others. Despite the slander and demonstrably false claims, other FPF members who have historically defended WikiLeaks and Assange were silent regarding Lee’s accusations, including Glenn Greenwald, Daniel Ellsberg and Edward Snowden. Though FPF members have denied that Omidyar’s influence has had a role in these attacks, as well as in the board’s decision to cut ties with WikiLeaks, a closer examination of Omidyar and his ties to the U.S. political establishment — as well as his apparent influence on some of the FPF’s most prominent members — gives credibility to WikiLeaks’ concerns. Pierre Omidyar, prior to the founding of The Intercept, was known not for any commitment to journalism or free speech but rather for his connections to the U.S. government and his role in the financial blockade of WikiLeaks that began in 2010. Indeed, publicly available records reveal Omidyar’s close connections to the U.S. political establishment. For example, Omidyar made more visits to the Obama White House between 2009 and 2013 than did Google’s Eric Schmidt, Facebook’s Mark Zuckerberg or Amazon’s Jeff Bezos. He has also donated $30 million to the Clinton global initiative. He directly co-invested with the State Department, funding groups – some of them overtly fascist – that worked to overthrow Ukraine’s democratically elected government in 2014. He continues to fund USAID, particularly its overseas program aimed at “advancing U.S. national security interests” abroad. Also striking was Omidyar’s decision to accept Snowden’s former boss at Booz Allen Hamilton, Robert Lietzke, into the Omidyar Fellows program in 2015 after personally interviewing Lietzke as part of the program’s application process. What was unusual in Lietzke’s case was that Omidyar also oversees The Intercept, which has exclusive publishing rights over the Snowden cache – which was taken from under Lietzke’s nose at Booz Allen Hamilton by his former employee, Edward Snowden. Snowden himself has remained silent on Omidyar’s decision, despite the mixed signals it sent and continues to serve as the president of the FPF — which, as mentioned, is also funded by Omidyar. The Intercept was founded in 2014 with some $250 million in seed money from Omidyar. Its first hires were Glenn Greenwald and Laura Poitras, the only journalists in possession of the full Snowden cache. According to former Intercept writers, Omidyar – despite funding and founding an enterprise dedicated to “fearless” and “adversarial” journalism – is “shockingly [un]interested in the actual journalism” of the paper. If this portrayal of Omidyar’s interest — or rather, lack of interest — in journalism is accurate, it is strange that he would also fund organizations — like the FPF, the Center for Public Integrity, and ProPublica — ostensibly dedicated to investigative journalism, transparency, and the First Amendment. Omidyar’s supposed devotion is also hard to square with the fact that he and PayPal were a major part of the financial blockade against WikiLeaks, which – as mentioned above – deprived WikiLeaks of 95% of its revenue at the time. 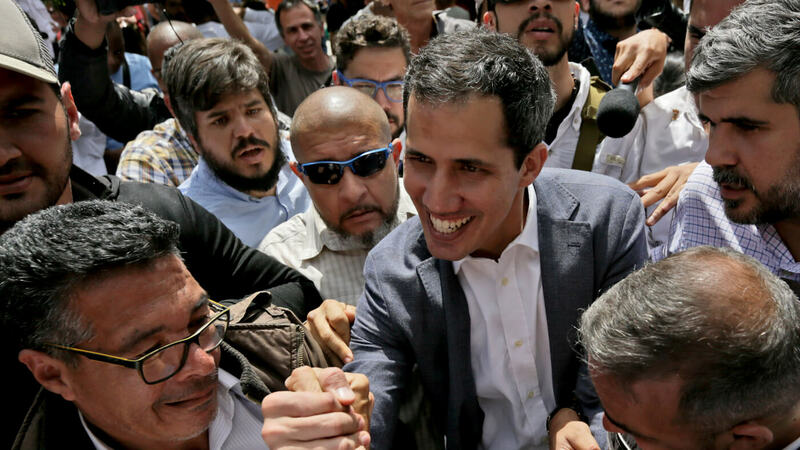 Though Omidyar –- and now the FPF -– have argued that the blockade has long been lifted, WikiLeaks has publicly disagreed, maintaining that it remains in effect. Interestingly, when Omidyar was asserting that the blockade had ended, the FPF – at the time – had also publicly disagreed with his assessment and claimed that the blockade was still in full effect. Omidyar has also, in the past, been rather candid about his views on leakers. He asserted in 2009 that organizations that publish stolen — or leaked — information “should help catch the thief” and shouldn’t publish such information in the first place. Omidyar even defended this view after The Intercept’s founding and refused to speak in “absolutes” about whether or not a source should be turned in — a troubling perspective to have in light of The Intercept’s debacle in the Reality Winner case. @loic I said ystrdy: @techcrunch and anybody else who pubs stolen info should help catch the thief. Shldnt pub in the 1st place. What then caused him to create The Intercept, only a few years after making that assertion? Given Omidyar’s connections to the U.S. government, particularly the NSA, and top government contractors, including Snowden’s former employer, it was likely an effort to privatize and thus thwart or slow the publication of the Snowden leaks in which PayPal is allegedly implicated — and not a sudden change of heart. The idea of “curation” in the publication of leaked documents is quizzical. Though one’s privacy is important, it is highly problematic to leave to one person the ability to decide what is and what isn’t in the public interest. “Curating” leaks gives those who are in possession of the leaked documents the power to decide what the public sees and doesn’t see instead of giving the public the right to decide what is relevant. In many cases, finding a “balance point” would present a challenge to even the most ethical and disinterested curator. Such power can easily be abused and used to shield key information contained in leaks or to hide crucial context. For example, in the case of Chelsea Manning, Wired journalist Kevin Poulsen published parts of the chat logs between Manning and former hacker Adrian Lamo in which Manning allegedly admitted having given the leaked documents to WikiLeaks. However, Poulsen published only a quarter of the correspondence, claiming that he had not released the remainder as it contained “personal information” and “national security secrets” — concerns that were also raised upon the release of the DNC and Podesta emails. Yet, the information Poulsen chose not to publish contained crucial context that showed that Manning leaked the documents to instigate reforms and inform the public – not to “cripple the United States’ foreign relations for the foreseeable future,” as Lamo had suggested in interviews before the chat logs’ full release. Ironically, it was Glenn Greenwald who publicly skewered Poulsen for journalistic malice. However, Poulsen was merely “curating” the logs as he saw fit – albeit with the agenda of protecting Adrian Lamo, his long-time associate. Three years later, Greenwald found himself in a position similar to that of Poulsen when he came into possession of the Snowden leaks and became the “curator” of this collection. Now, nearly four years after receiving the cache, less than 2 percent of the estimated 58,000 files have been made public. If the releases continue at this snail’s pace, most of those reading this article will have been dead long before the Snowden cache is made fully public. Perhaps this is why Greenwald, despite possessing hundreds of thousands of secret government documents he received from Snowden, has been able to travel to and from the United States without issue. Edmonds pointed this out, stating that “after Greenwald worked with so many whistleblowers and even though he has technically ‘aided and abetted’ this supposed illegal, major leak, he’s not touched. 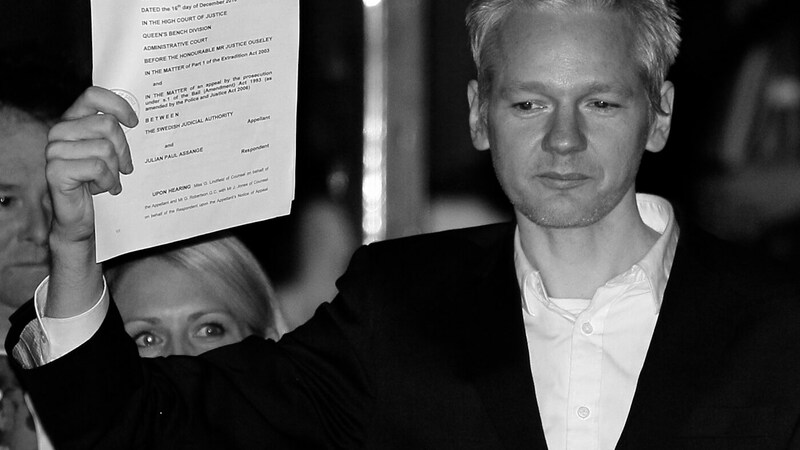 He can come and go [from the United States] as he pleases.” Meanwhile, Julian Assange has remained arbitrarily detained in the Ecuadorian embassy in London for seven years, unable to leave. Also troubling is that Snowden – the man who ostensibly risked his life and freedom to make this information public – has offered no complaints concerning the glacial pace of the documents’ release, nor about Omidyar essentially taking ownership of the leaks through The Intercept. It’s possible that Snowden himself may approve of what has amounted to the censoring of these leaks, as he has also called for the “curation” of leaked material following the release of the Podesta emails. Unsurprisingly, this drew a sharp response from WikiLeaks. While Edmonds has made the case that Omidyar likely founded The Intercept to clamp down on the Snowden leaks before they could cause further damage to the U.S. government — or to his own business — another motivating factor could well have been a desire to surreptitiously continue his blockade against WikiLeaks, but by different and more easily concealed means. Omidyar certainly isn’t the only PayPal linked billionaire involved in such efforts to undermine and discredit WikiLeaks. As Part II of this investigative series will show, Peter Thiel — a PayPal co-founder with close ties to the Trump administration — has also been involved in the creation of an “attack plan” that seeks to undermine WikiLeaks through a media disinformation campaign and by working to turn WikiLeaks’ former allies against it. Given the FPF’s recent decision and the attacks levied against WikiLeaks by Intercept writers, this plan seems to be well underway. Correction: a previous version of this article stated that Pierre Omidyar is a co-founder of PayPal. While he did not found PayPal, he acquired it when eBay bought PayPal in 2002.